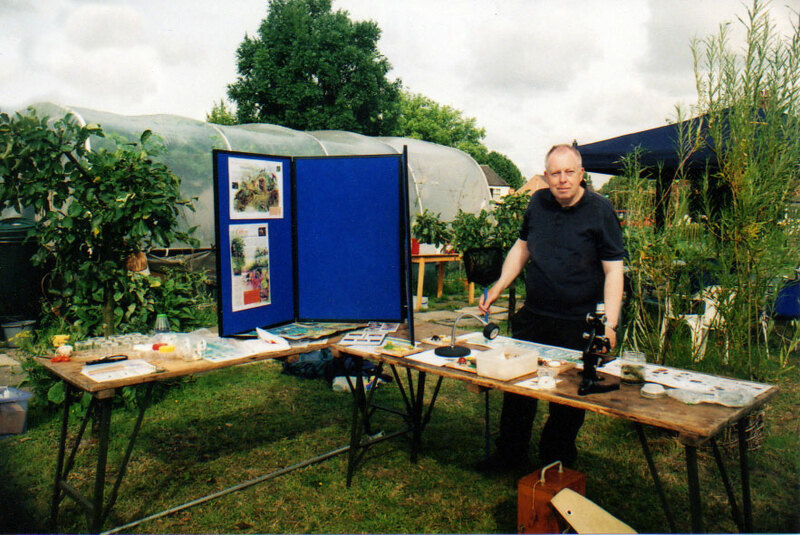 This year's Pond Dipping event was held on August 17th in conjunction with Alan Heath from the Long Eaton Natural History Society (LENS). These events are always very popular with the children, both from a fun and educational perspective, and this one was no exception. Although we felt that the numbers and types of species found in the pond have been limited by the unwanted introduction of goldfish (which will also eat tadpoles, so reducing the numbers of frogs which in turn help reduce the surrounding slug population), Alan reported a total of 19 species found during the survey. A pdf listing the species found at this year's event is available by clicking this link. Once again DIG IN attended the Stapleford Carnival ( 3.9.11)with an array of fruit and veg, preserves, seeds and strawberry plants to give out to local people. 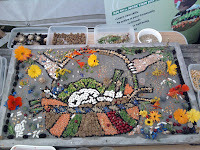 A fabulous well dressing was created and now is displayed for a week at Stapleford town Council. Lauren, Gill, Chris, Claire and Kathy were able to chat to people about DIG IN, offer growing advice and encourage involvement in the future events and coming along to wednesday and saturday sessions- although any discussion was in competition with a very noisy falcon on the next stall! 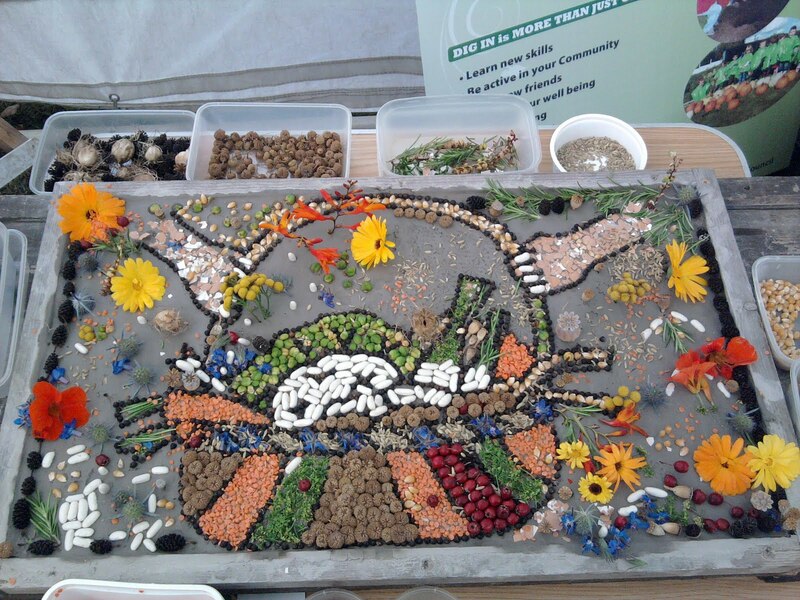 Hundreds of people came to Stapleford Carnival- a great opportunity for us to publicise the Garden. Lots of folk were very interested in coming along and the swell of support for the Apple and Pumpkin days was evidence of how DIG IN is fast becoming a well known and well loved part of the Stapleford community. Thanks to the Town Council for a stall in their gazebo and their support.